PUBG vs Fortnite: Which Battle Royale Game Is Best? 2017 made it quite obvious that battle royale was the genre to beat, and in 2018 the craze has only continued. When comparing the two top battle royale games – PUBG vs Fortnite – which viral sensation comes out on top? Over the past few years, the gaming craze has evolved and transitioned through multiple different genres. For a long time, MOBAs like Dota 2 and League of Legends dominated the public eye, and MMOs like World of Warcraft continue to boast an impressive player base moving into 2018. Still, we hadn’t quite seen a craze like we did with battle royale in recent years. 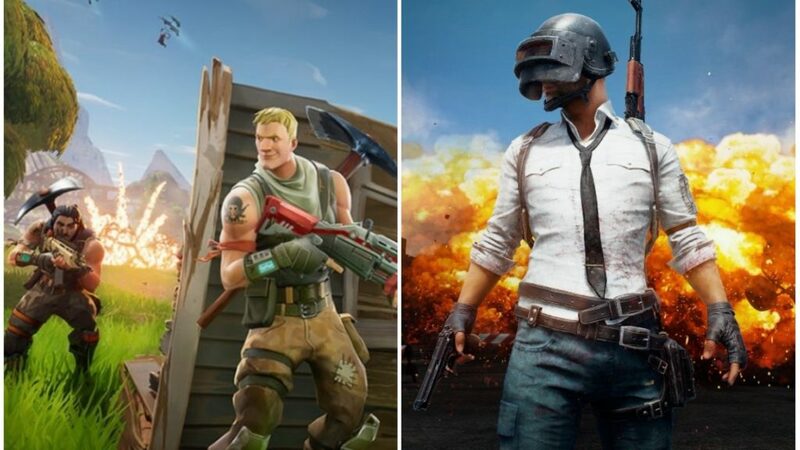 When comparing PUBG vs Fortnite, it’s clear that both games are some of the most popular titles we’ve ever seen due to their engaging gameplay and unique twists as people battle it out for the top spot. There’s an incredible number of players that continue to log onto the games on a daily basis, with hundreds of millions of players enjoying the climb to reign supreme over their opponents. When comparing PUBG vs Fortnite, however, there are some key differences that set them apart and make them better than the other for certain players. We will be up front and say that there’s no clear “best” game, but we’ll help break down the differences to help you decide which of these two excellent titles is right for you. We’ll start off with perhaps the most important aspect of this PUBG vs Fortnite comparison: the gameplay. While both of these battle royale titles have the same formula at a most basic level, tasking players with remaining the last man standing out of 100 different opponents, there are some fundamental differences in the way that they play. With PUBG, a large focus of the game is the in-depth crafting system that allows you to use your environment to craft what you need to survive until the end of the game. The pace of the game is also a lot slower and more strategic than with Fortnite, and you’ll generally find that PUBG games drag on a little longer than you’d see with its biggest competitor. There are also vehicles and support for more complex maps in PUBG, while Fornite instead focuses on a single map. That’s not to say that Fortnite doesn’t have its own benefits to offer. The building mechanic that figures into combat is a main draw of Fortnite, and being able to modify your environment dynamically during a fight adds a lot of nuance that you won’t see with a more straight-forward shooter. The feel of the game is also a little more whimsical, and the games are a little bit faster-paced. The PUBG vs Fortnite comparison in terms of gameplay really comes down to personal preference. For slower and more in-depth gameplay, PUBG might be right for you. Fortnite, on the other hand, offers its own sort of strategy in terms of gathering materials and building on the fly. Another striking diference between the two titles is the graphics. PUBG is much more gritty and realistic looking, and looks a lot more like a stereotypical shooter than the more stylized graphics of Fortnite. The environments are also a little more desert-focused in a lot of the maps compared to the lush green that you’ll see with Fortnite. Fortnite has some seriously challenging mechanics, but it’s all wrapped up in a cartoony skin that has it’s own charm. The buildings, weapons, and skins are all fun and don’t take themselves to seriously – combining whimsy and more serious gameplay for the ultimate package. We personally prefer Fortnite graphics, but PUBG also has its appeal when you’re looking for something a little more realistic. When you choose a battle royale title, you want to ensure that the game will be active for years to come so your investment in collecting skins and increasing your skill doesn’t all end up being worthless. It’s safe to say that both games have an incredibly healthy player base, but if it matters to you it seems like Fortnite is growing at a faster rate. With millions of concurrent players every day, PUBG is still going strong and has been around longer than Fortnite, but Fortnite has started to challenge its dominance and shows no sign of slowing down. With cross-platform play and the upcoming release on Android, the number of users should only continue to spike. At the end of the day, it’s difficult to declare a winner in the battle between PUBG vs Fortnite. It’s going to be a matter of opinion and personal preference, and both games have their pros and cons. Long story short, for a more serious and realistic gameplay experience, PUBG comes out on top. For challenging mechanics, fun graphics, and an excellent console experience we recommend trying out Fortnite.